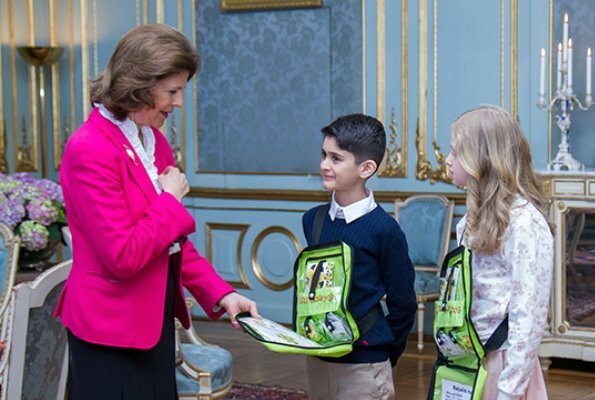 On Thursday 12 April, Queen Silvia of Sweden bought the year's first Mayflower pin, as is traditional. 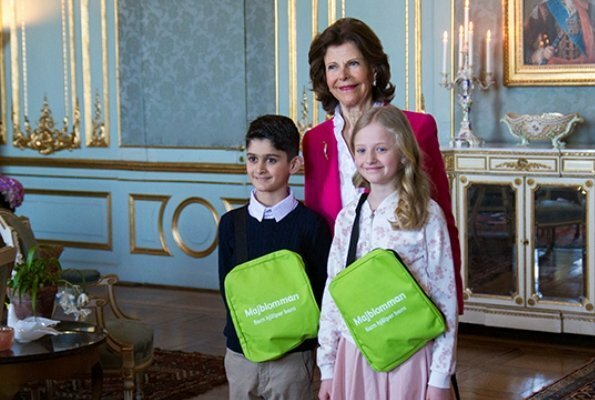 This year, Youssef and Alice from class 2–3 C at Barkarby School in Stockholm had the honour of selling the first Mayflower pin to the Queen. Majblomman (Mayflower) is Sweden's largest children's charity. The organisation works to improve the lives of children, and to tackle child poverty in Sweden. 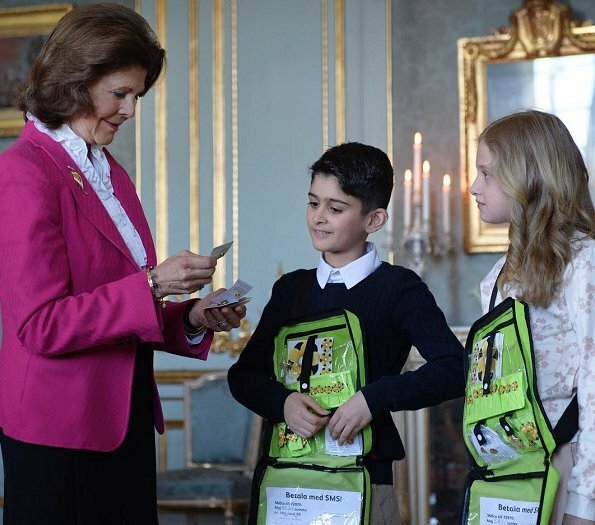 Queen Silvia is Majblomman's highest patron and buys the first Mayflower every year. Good luck to all the majblomman sellers! Pink blazer, white blouse and a black skirt: a classy evergreen. It looks like the Queen has stopped of 'doing too much with her face'. Good - for her and her grandchildrend. I always get so nostalgic when I see little kids selling Mayflowers. I remember when I sold them as a child and how proud the whole class was when we collected our earnings so we could send it to the charity. It's a good charity for the Queen to support, it helps children in need. She bought one for each grandchild and one for the king to have in his car and herself... pretty sweet.